Art in the Service of Science was the intriguing title of the talk given to Bude & District U3A members at their well-attended March general meeting. 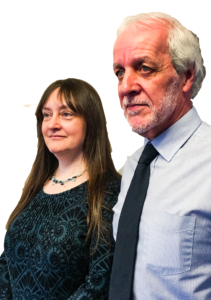 The speakers, Phil and Debbie Wilson, who live near Launceston, are medical and scientific illustrators and during the course of their hour-long, illustrated talk they described their work as well as the many uses of medical and scientific art. Speaking first, Phil, who has more than 40 years’ experience as a medical, forensic and scientific illustrator, told the audience at the Parkhouse Centre that although medical art was a young profession, it had a long history going all the way back to ancient Egypt. The Italian Medieval artist, Leonardo da Vinci (1452-1519) is generally regarded as the first medical artist. His drawings of the human anatomy, including actual dissections made him a pioneer in the study of the human anatomy. From Leonardo onwards, medical artists have created their incredibly detailed paintings and drawings to communicate advances in anatomical and surgical knowledge. More recently, in 1949, the Medical Artists’ Association of Great Britain was formed. 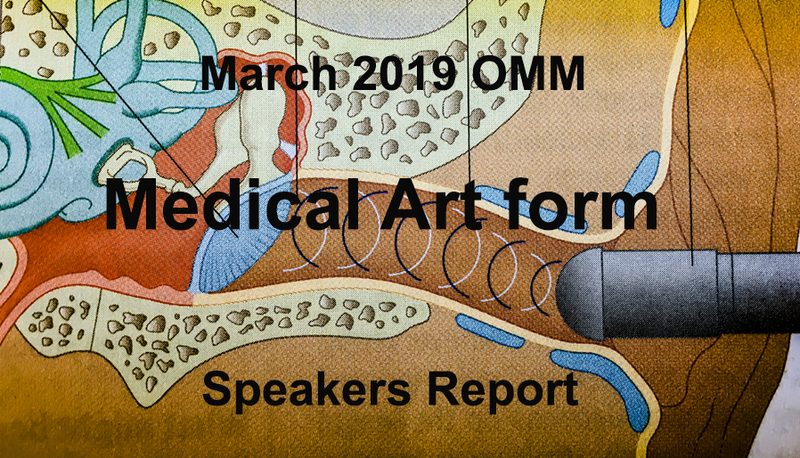 The work of the member illustrators covers medical illustration, animation, 3D modelling, and anatomical, forensic, healthcare, pharmaceutical and surgical art. Phil is currently Chairman of the Medical Artists’ Association. He went on to say that by the 1970s medical artists had to begin to reinvent themselves – first, to address the growing use of photography, and then later, with the arrival of computers and digital imaging. Illustrators moved from being recordists to educators. Phil showed images of his own and other artists’ work using modern techniques, often combined with more traditional art, and encompassing everything from forensic science to disease conditions and surgical procedures. dissection, DNA sequencing, a dinosaur with fleas, a chameleon playing dead and containers for nuclear waste! Many of her illustrations are for books and magazines related to animals such as a veterinary text books, books about cats and dogs, various nature journals and text books for schools in the USA. ‘All the artwork must be original,’ she said, ‘so I often work using family and friends’ pets as models.’ Debbie also showed some of her illustrations for scientific journals and said that she found it very rewarding to be able to work with researchers in such areas as autoimmune diseases. She too is a member of the Medical Artists Association.